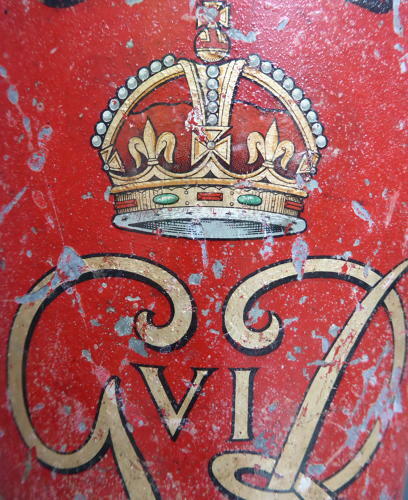 A wonderful antique King George VI metal fire bucket. A fantastic example in its original painted finish with a great patina & retaining its original lid. Not something which shows up very often in this condition & a great decorative piece! Wear commensurate with age, good solid condition showing pleasing signs of age. Unrestored.